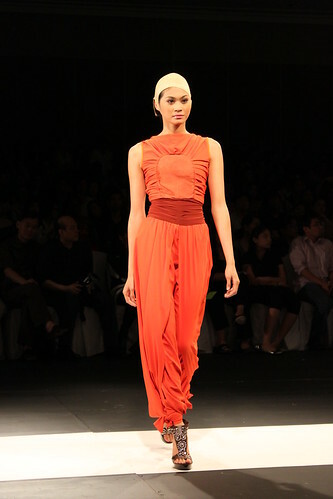 Buddhist and Hindu monks were primarily the influences (that explains the skin tone headgear) of Russell Villafuerte in making his Holiday 2011 collection aptly called Ascetism. 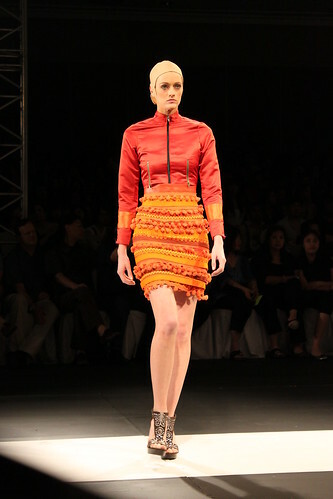 The collection is comprised of separate pieces and one-piece ensembles, some with simplistic drapings combined with structured panels. 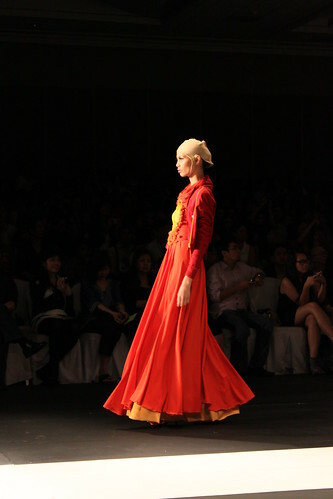 He widely made use of the warm orange palette accentuated with touches of gold, brown, light yellow and red. I must admit that I’m biased towards the colour orange as my least favourite. But, in fairness, I find the overall colour combination quite decent, and I kinda like it! 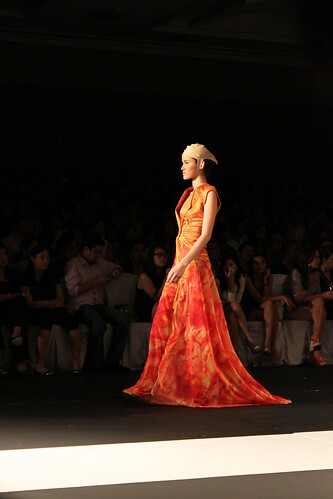 The fabric mostly used looks like jersey, with a combination of other fabrics such as satin, etc. 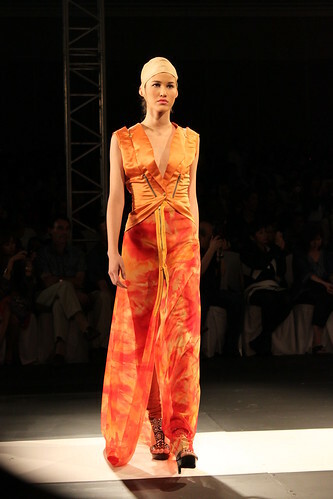 The tie-dyed chiffon draping isn’t my cup of tea though. I wish he could make use of another that isn’t something like that. Au contraire, I’m digging the multi-striped patterns with knitted baubles hanging around—they’re really fun and quirky to me!